We are pleased to announce that after 12 years at our gallery in Pimlico Road we are moving to larger and very modern premises. It is a very exciting prospect and everyone at Plus One is looking forward to the new gallery with great enthusiasm. 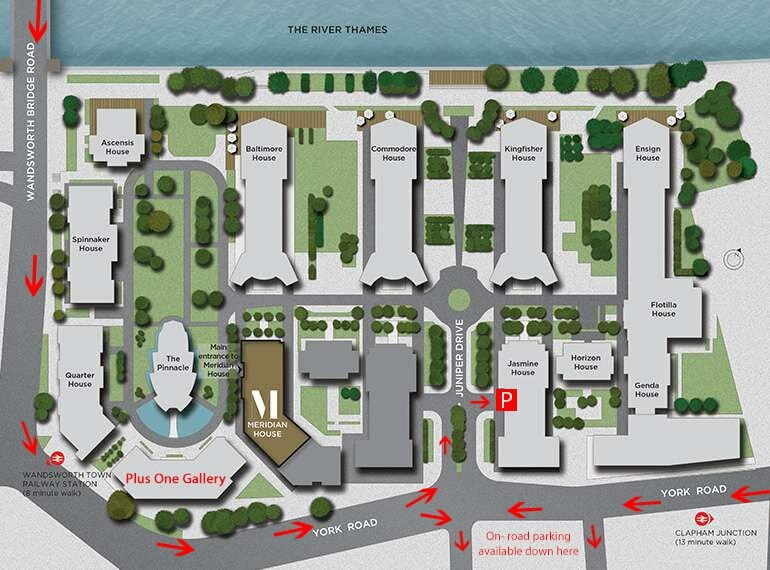 We will be relocating to a brand new ground floor space in a very prominent location under one of the new developments alongside the River Thames, Trafalgar House Battersea Reach. 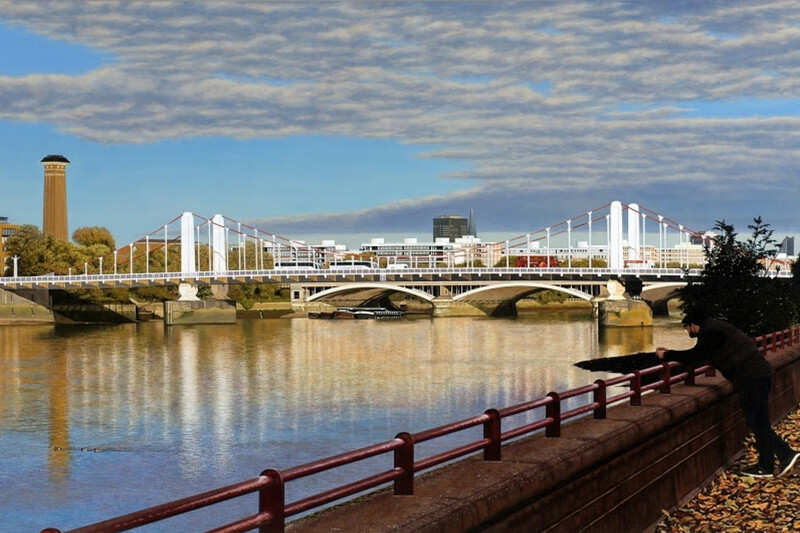 Battersea Reach offers visitors easy access to the rest of London whether you are travelling by tube, train or car. Local underground stations Putney Bridge, Parsons Green and Fulham Broadway provide links to the extensive underground network. The new London Overground station at Imperial Wharf is also an option. Nearby Wandsworth Town railway station provides a quick link to Clapham Junction and on to Waterloo for the national rail network and underground links. For visitors wanting to come by car, there is an underground car park situated in Battersea Reach which is located on Juniper Drive (SW18 1FY) providing 1000 parking spaces. The new space is currently being designed and built to our specification and will be completed by the end of June. In the meantime we are located at number 24 Pimlico Road, our temporary unit whilst the new premises is being worked on. Inevitably there will be some disruption but we hope to keep this to a minimum so we would kindly ask you to email Rosie at rosie@plusonegallery.com to make an appointment for viewing during this time. This will allow us to locate the specific painting you may be interested in. For more information contact us on 020 7730 7656 or email Rosie, rosie@plusonegallery.com. Visit us at our temporary address 24 Pimlico Road, London, SW1W 8LJ.